It’s all Google all the time. First Motorola Mobility says iOS 6’s Maps are lost in the woods, then the root cause of Apple and Google’s spat over maps is found. Elsewhere, Eric Schmidt says Apple’s lost its way with patent suits. 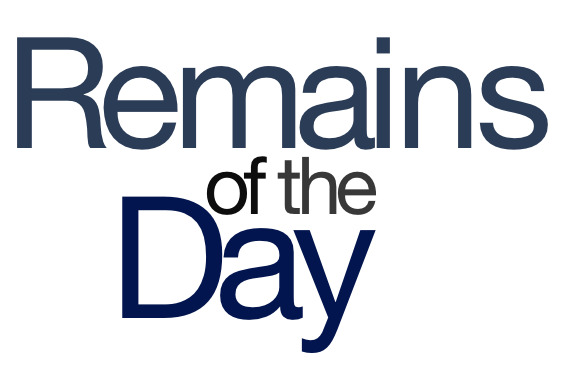 The remainders for Thursday, September 27, 2012 are finding their way in the darkness. Whoops. While mocking Apple’s new Maps app in an ad on its Google+ page, Google-owned Motorola Mobility seems to have picked a misleading address (it’s a public park, which doesn’t, strictly speaking have an address). To be fair, if AppleInsider hadn’t focused so much attention on it, who would have noticed? I mean, it was posted on Google+. Speaking of Maps, it seems that the tipping point for Google and Apple’s relationship vis-a-vis cartography came over turn-by-turn directions. Apple wanted Google to incorporate the feature into Maps on iOS; Google, in turn, wanted to build in support for its Latitude location-based service, and more prominent branding. Hey, if it’s a choice between being barraged by ads and knowing where Mt. Everest is, well, how often do I really go to Mt. Everest, anyway? And when they say “raps,” they don’t mean laying down a phat beat. Instead, the former Google CEO and current chairman knocked Cupertino for its patent lawsuits at Android partners. Google, on the other hand, “stands for innovation.” Seems reasonable, I guess. OS X Server 2.1.1 - The latest update to Apple’s server operating system adds the ability to manage the DHCP service in the Server application, support for iOS 6 device management in Profile Manager, migrating from Lion Server and Snow Leopard Server, and more. $20 for a single license; free update.